Amber Comments: Welcome to the first recipe of Wine Travel Eats! 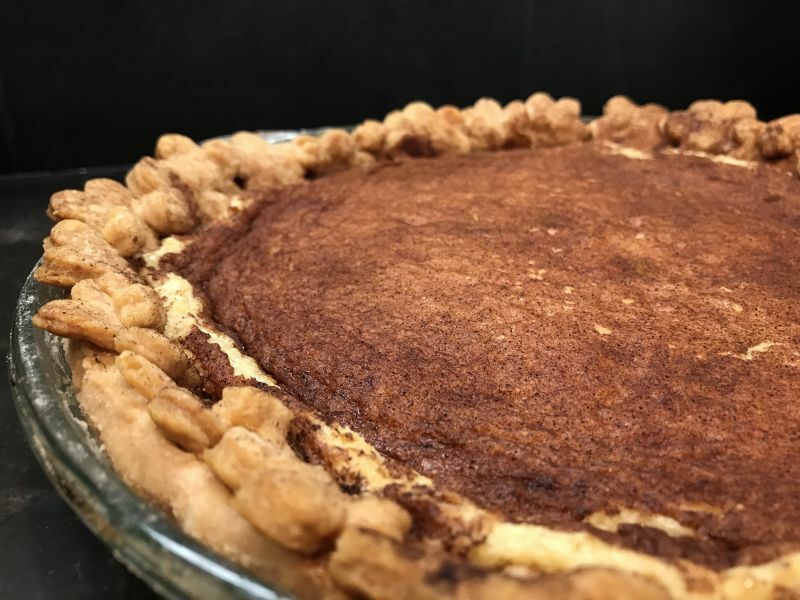 One of the reasons we rebranded is to celebrate all of the wonderful recipes April shares (Including this one for Sweet Cream Pie!). We are moving her posts to Thursdays which is a far more popular day for people to see her fabulous offerings – all ready to make them for the weekend. 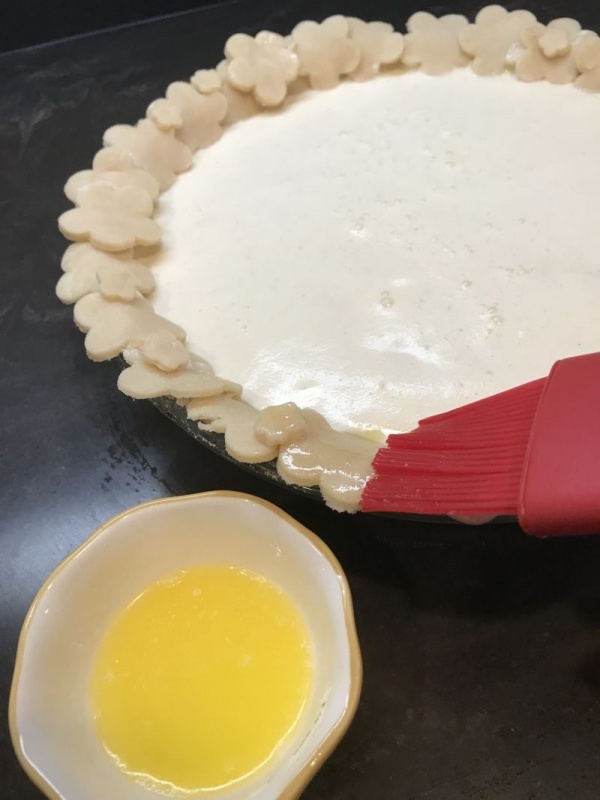 So in my last post, I shared a fabulous recipe for Perfect Pie Crust. What I truly love is how flaky and light the crust is (if you follow the instructions and don’t work the dough) and the fact that it makes four crusts at one time that are freezable! I hope you have already tried it! Having pie crusts already made for the blog meant that I had to make a pie. 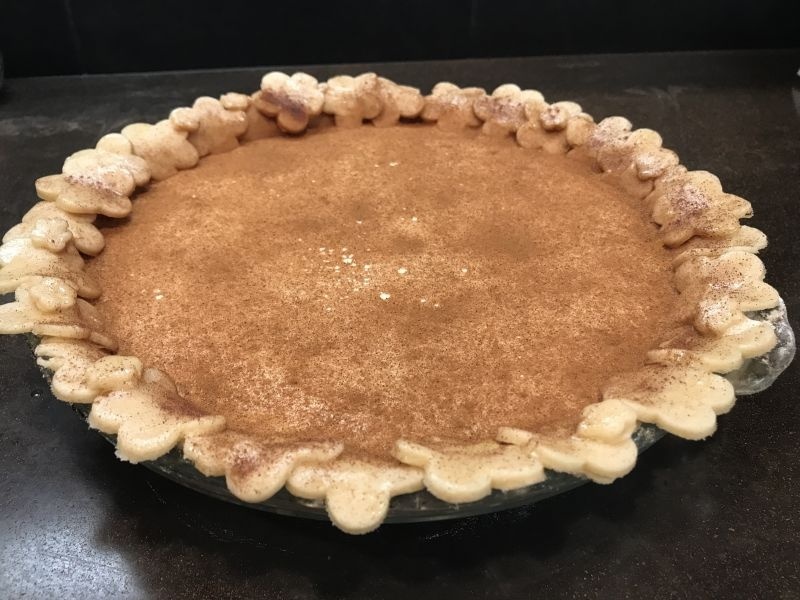 Seldom do I make anything special anymore that I don’t think..”would this be a good blog post recipe?” My husband was not really excited about me making a pie. Two reasons. 1-he is very health conscious and watches his carbs. 2- We just had Thanksgiving and Christmas and New Year’s celebrations and I think he is just sick of the desserts being all over the place and testing his willpower! But I had to make a pie since I had FOUR pie crusts staring at me! Amber comments: Can I just put in here that I got no pie? I want to make that clear here in case you were wondering, Four crusts: I got NO PIE. 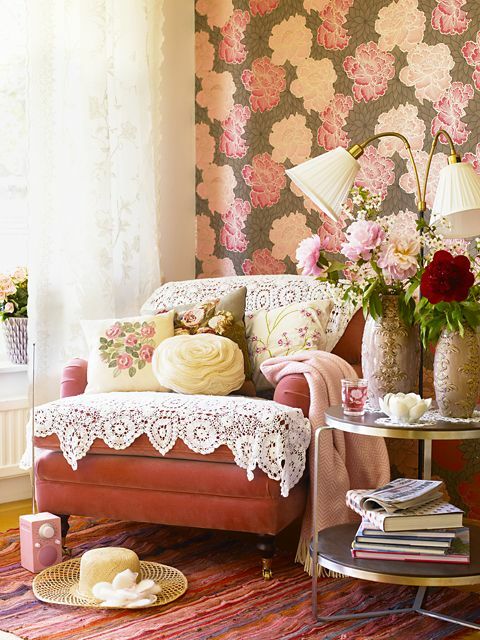 When I was a little girl, during the summer I would spend a lot of time with my great-grandma Rose. She lived across the street from my Grammy, and I would escape over there when Grammy would get annoyed with me. She was as old as dirt, and her house was stuffed with all the old trinkets that would fascinate a little girl. She had little perfume bottles with glass stems that you touched to your neck, handmade doilies of every shape and size, little porcelain boxes with pretty earrings that actually screwed on to your earlobes! She even had a real feather bed that you had to punch back in to shape after you slept on it! The best thing about Grandma Rose was her stories. She would tell me stories about the depression and how they made things last, and they didn’t waste anything. 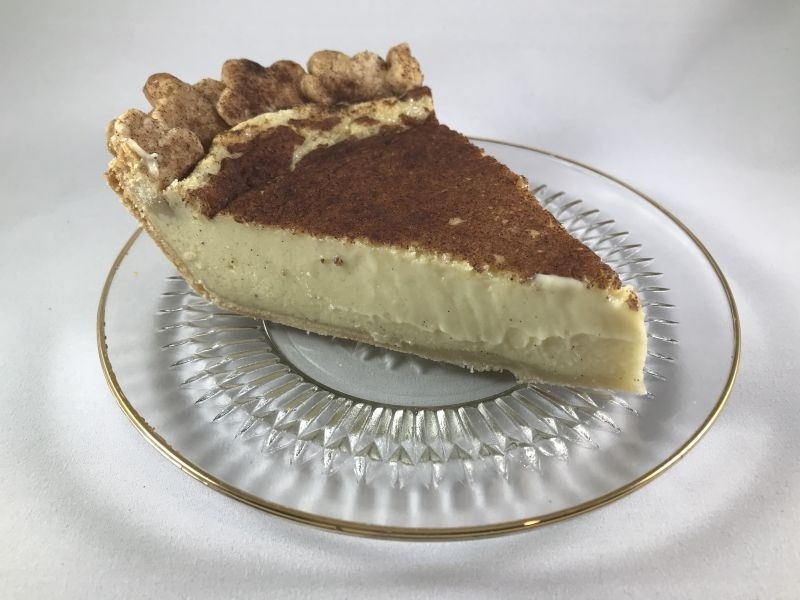 This would always be followed by “waste not, want not.” She made this amazing pie for me and told me that when they made butter, there was buttermilk left over (not the sour buttermilk you get in the store….fresh buttermilk is sweet.) and they would make a pie out of it. It was called sweet cream pie or buttermilk pie. 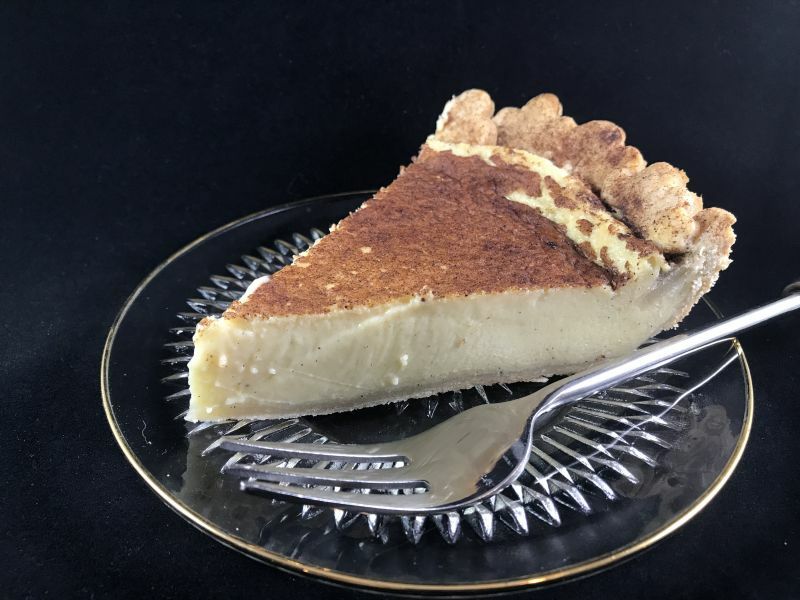 It looks a bit like a custard pie, but the taste and texture is nothing like custard. It is velvety smooth, perfectly sweet, and dense. 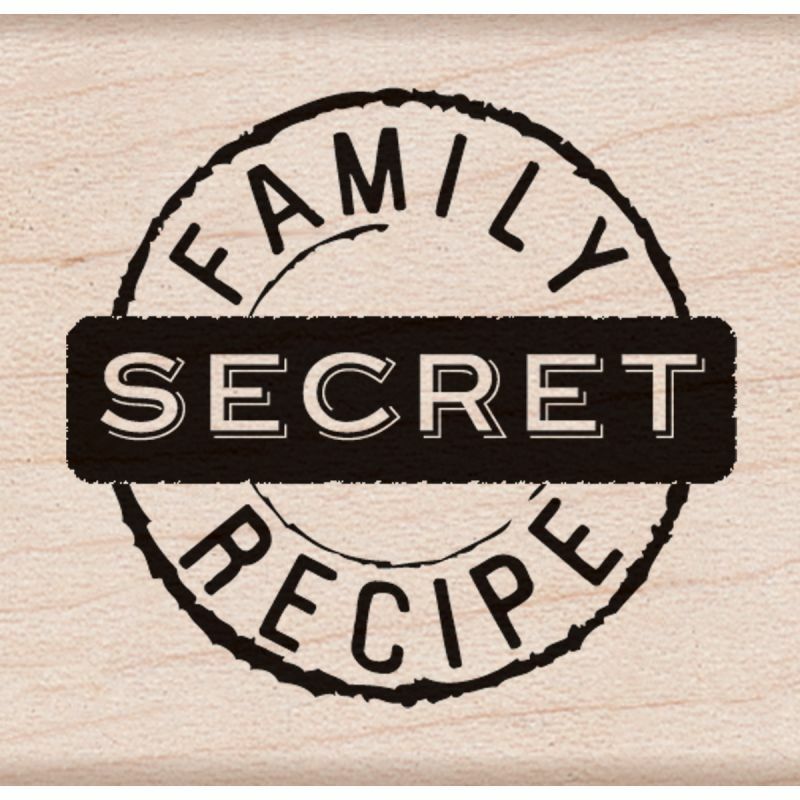 Since I shared this old family recipe for the crust with you, I thought it might be perfect to share this old recipe with you as well. It’s super easy, and super delicious. In fact, my husband tried a small piece at my request (for his expert opinion) and has forbidden me to make it again! I am not exaggerating when I tell you he ate the whole thing. THE ENTIRE PIE. 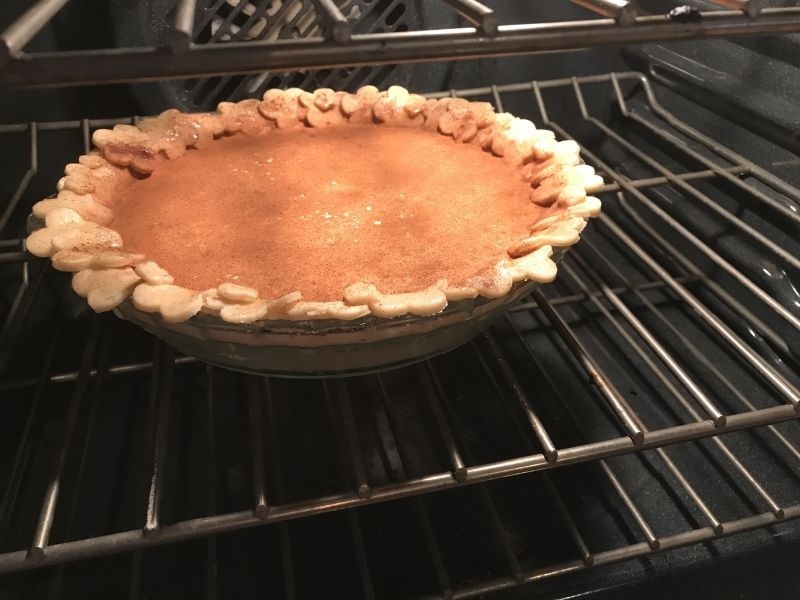 It took him two days, but really….the whole pie? As he packed the last half of the pie in a container to take to work with him for lunch, I cautiously asked…”what about your carb intake sweetheart…. ?” His answer was “Milk and eggs are protein…” and he left for work with his container of pie under his arm. 2. 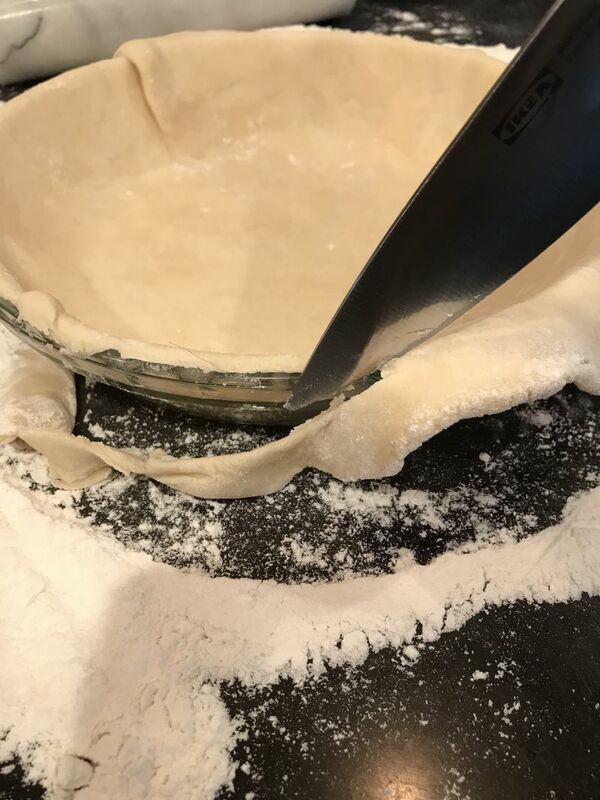 Using an 8 or 9 inch Pie pan, roll out the pie dough and place in the pie pan. Flute the edges as desired. Brush the edges with melted butter and sprinkle with a little sugar. 3. 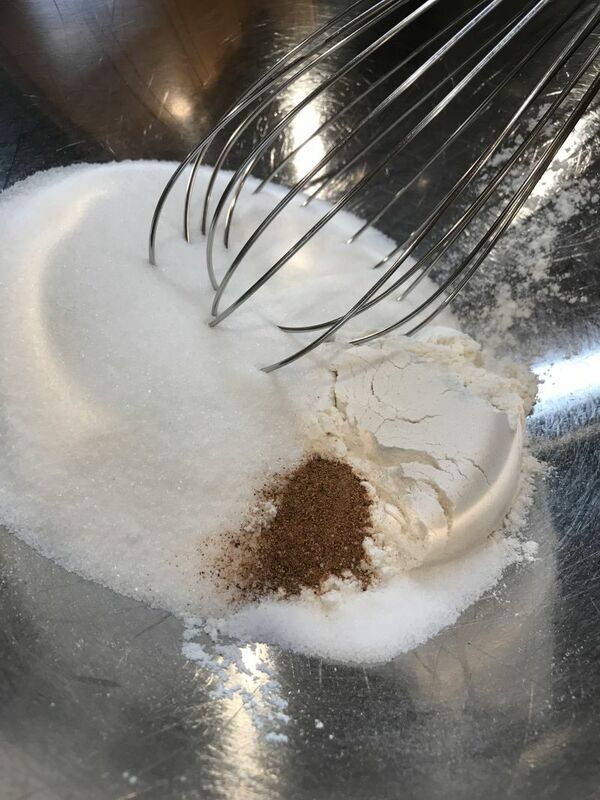 In a large bowl, mix together the flour, sugar, nutmeg, and salt. 4. 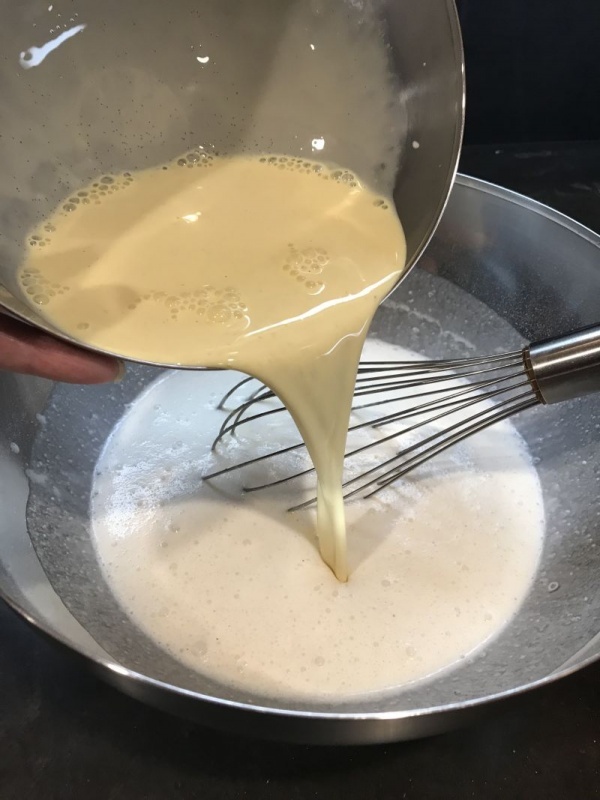 Using a whisk, add the whipping cream and blend together until smooth and creamy. Set aside. 5. 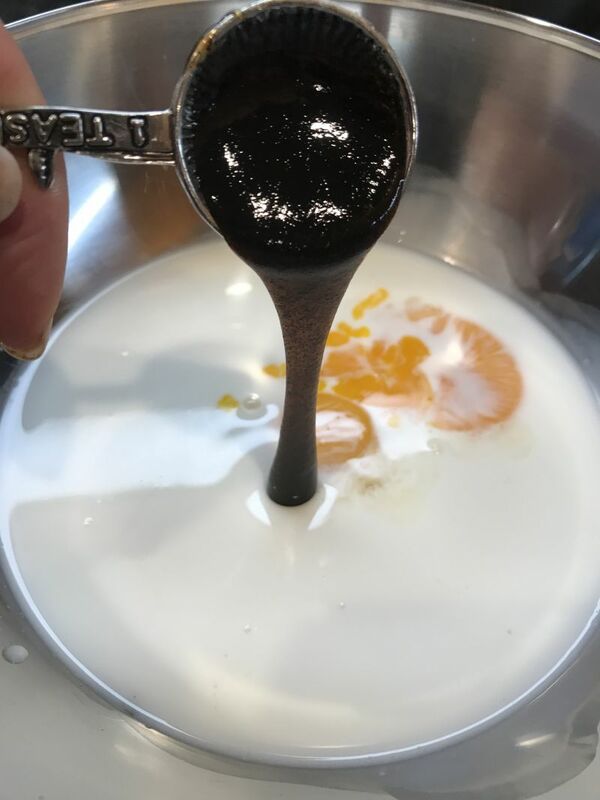 In a medium-sized bowl, mix together the half and half and the egg yolks with a whisk until completely blended. Add your choice of vanilla and whisk again until well blended. 6. 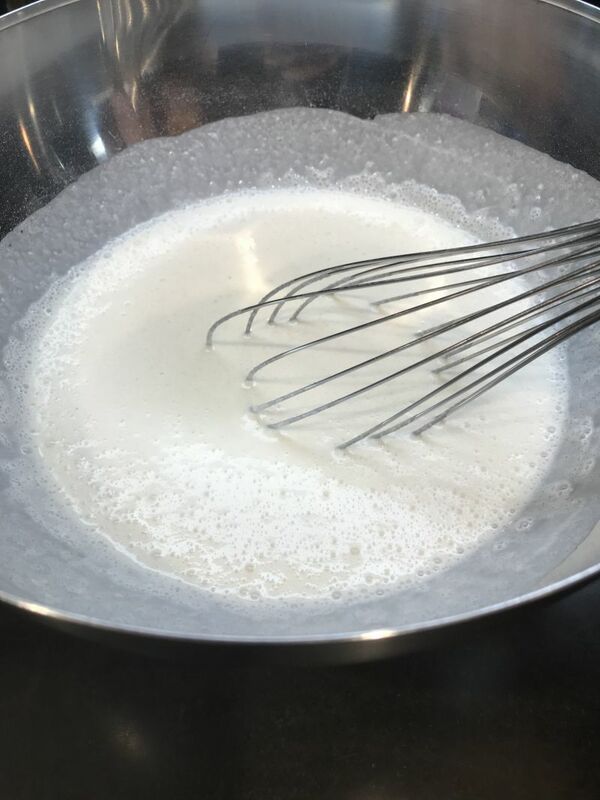 Pour the egg mixture into the first bowl that was set aside and blend together with the whisk, making sure it is smooth. It smells so delicious when it is baking! 9. Bake for about 70 minutes, or until set. 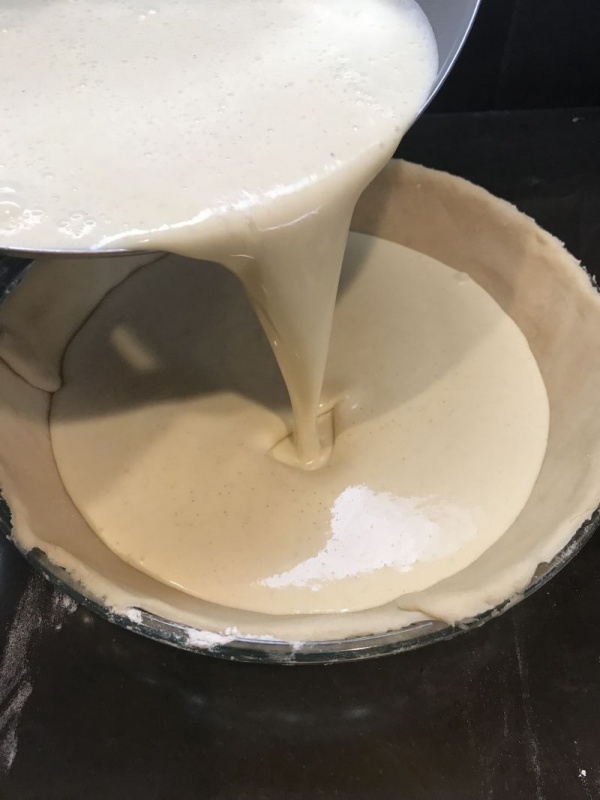 The center of the pie will be a little wiggly if you jostle the pie but will set up as it cools. If you see the pie filling bubble while cooking, don’t worry. This happens at about the one hour mark, so just let it keep cooking a little longer…..
10. Let cool completely before slicing and serving. It slices beautifully if you run the knife under hot water before slicing each piece. I hope you enjoy this old recipe. Grandma Rose said they never had vanilla, so that was a later addition. I prefer it with vanilla paste, but it’s quite delicious with regular liquid vanilla extract as well. Note: In the picture, you will see that I didn’t flute the edges of the pie. 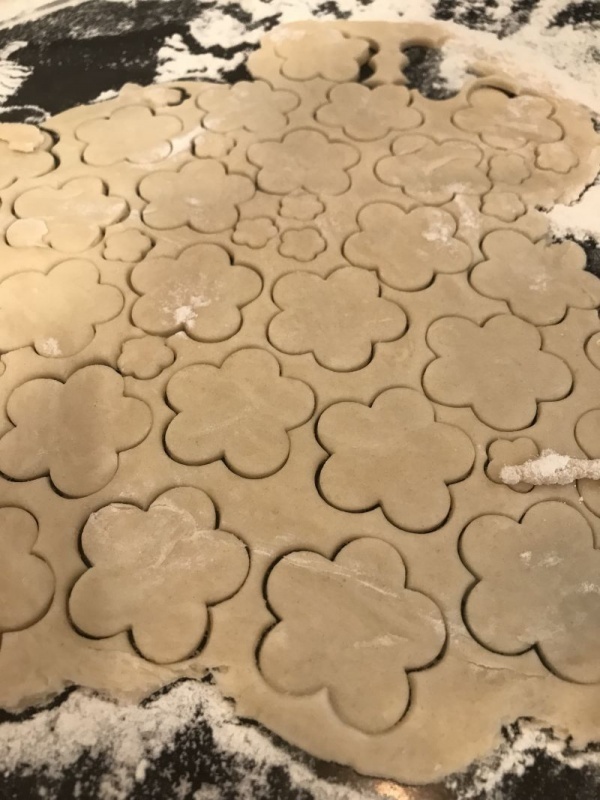 I cut the extra dough from around the pie pan, and then rolled it out and cut out little flowers with a cookie cutter. I used a little of the creamy filling as “glue” as I placed these little flowers around the edges of the pie. Next time I think I will just flute the edges….you do the edges of your pie any way that makes you happy! P.S. Make sure you continue seeing my posts by liking and sharing them on Facebook, Twitter and across Instagram. Thank you! That looks absolutely amazing…(insert mouth watering emoji here)! Let us know if you make it!! This sounds amazing. And I am def making it and I rarely bake! Sure wish there was a printable version available. So sorry Rick.. I’ll put print codes on.. in all the chaos I forgot. Sounds and looks delicious! Reminds me of the South African melktert!